The Nigeria Customs Service yesterday demonstrated that its a stickler for due process when the most senior officer, Deputy Comptroller General, John Atte, took over the mantle of leadership following the resignation of Abdullahi Dikko as the Comptroller General. The action may have foreclosed the usual rivalry often seen in most government agencies that do not have a strong succession plan. Atte, a Deputy Comptroller General (DCG) in charge of Finance, Administration and Technical Service (FATS) is the most senior officer and he is expected to hold forth till President Muhammadu Buhari either confirms him or appoints a new CGC. 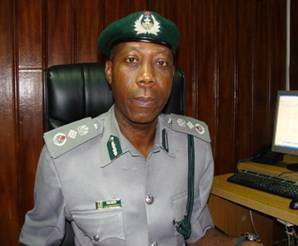 Already top Customs officers within the ranks of DCG and Assistant Comptroller-General (ACG) are lobbying influential politicians to put in a word for them to be made the substantive CGC.